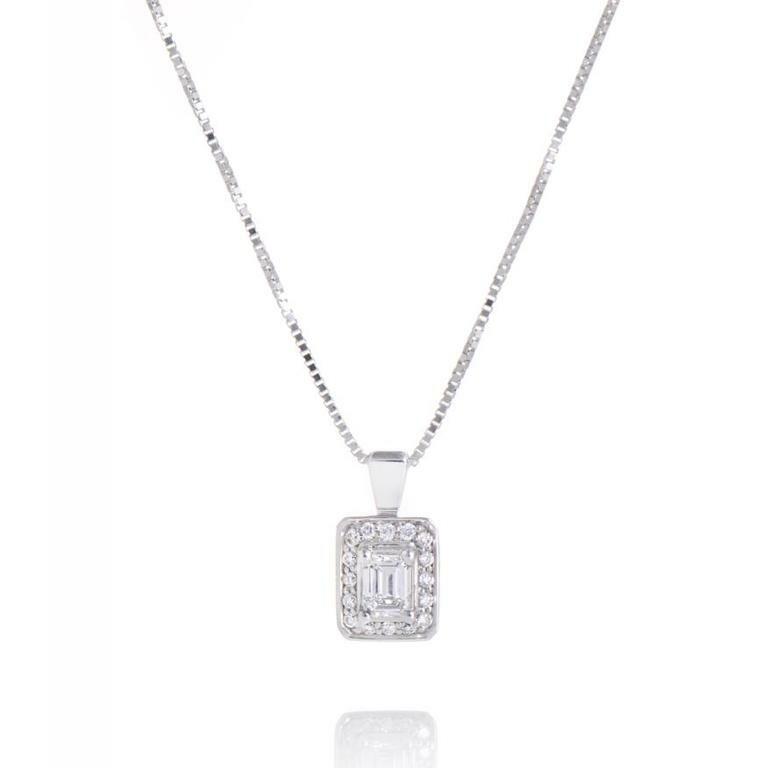 Ladies emerald cut diamond halo pendant of classic styling crafted in 14k white gold. It is set with one emerald cut diamond in the center, four-claw set, that is surrounded by a single row of pave set diamonds. 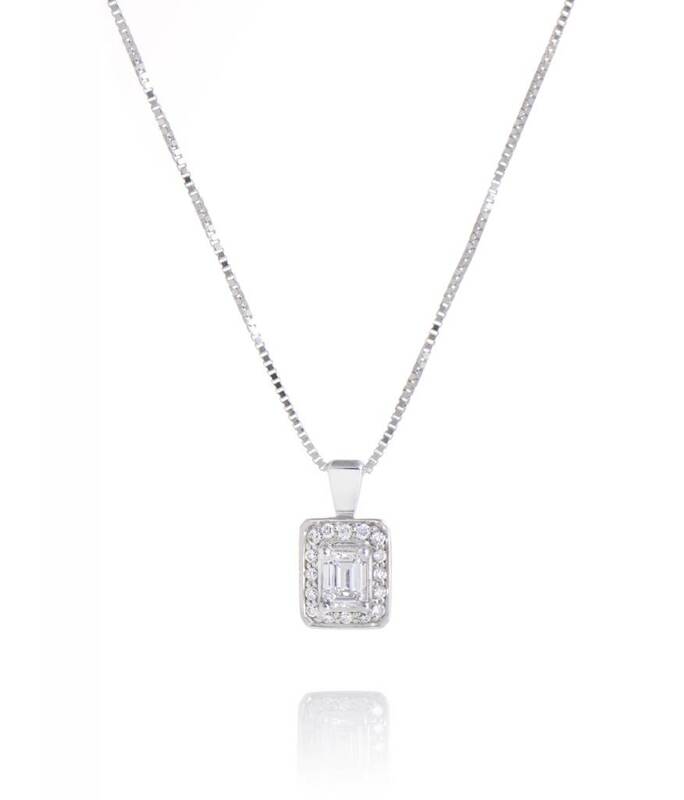 The pendant is also suspended by a high polish bale and a 14k white gold, box link necklace.